I am trying to identify an old drum. I have George Neumann's book and it shows a picture of a drum almost exactly like mine on page 197. 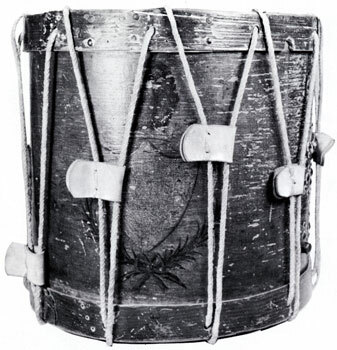 Neumann dates the drum to 1746. If this is a militia drum, how rare are they and what could be a ballpark value of it. Any help would be greatly appreciated.